Do you have a dream about a beauty kitten with blue eyes from Russia? 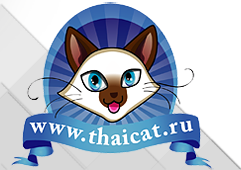 If you would like to have one of our thai / balinese / mekong bobtail kittens, please fill out this form. Your email will be read by our breeders immediately. You may send one letter to all breeders right now. Breeding *: I will plan breeding.I will plan neutering my cat.I don't know. Do you have any children under 5 years old? *: yes, one childrenyes, some childrenno, my children are olderno, I don't have any children.